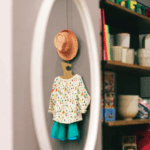 A new children’s boutique, Arsène et les Pipelettes is enriching the 6eme Arrondissement in Paris, a place already packed with gorgeous stores : Milk on the Rocks, Bonton, Zef, Pèpè, Paul Smith, Bonpoint to name just a few. 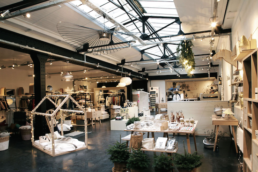 The 30 sq meters space is filled with fashion, accessories and objects in a decor inspired by travels and vintage. 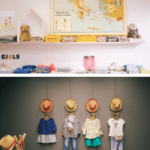 The collection Arsène et les Pipelettes includes a baby section (0-18 months) and a girls and boys range (2-10 y). 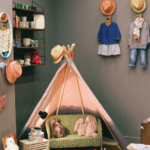 Toys and decor objects are also on display : tipis and music box by Georges, stuffed animals by Jellycat, accessories by Bloomingville, Minus note books. 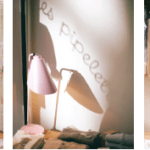 Created in 2005 by Chloé de Bailliencourt, Arsène et les Pipelettes opened two boutiques in Bayonne and Saint-Jean-de-Luz a couple of years ago. Chloé trained at Duperré in Paris and Saint Martin’s School in London. Paris seems to suits her very well; let’s hope London is next on the map. 3 Rue de Tournon. 75006 Paris.